You may have seen Zachary Louisiana on the news yesterday as Obama visited this flood devastated area. If you live in other parts of the country, you probably did not see what Southern Baptists are doing to help. I’m on the Board of the Mississippi Baptist Convention and serve on the Disaster Relief committee. Lakeshore Baptist Church hosted Disaster Relief training back in February. Little did we know that our training would be needed so soon and so close. Mississippi Baptists have a strong desire to assist our Louisiana neighbors. We have set up a command center at FBC Zachary where my brother, Dr. Keith Elbourne, is a deacon. With the resources of this partnership we can host over 100 volunteers at a time. Hundreds of homes have already been gutted, but there are thousands and thousands that still need help. I could probably gather a long list of places that anyone coming down to help could plug in with, but for now, let me highly recommend working with First Baptist Church of Zachary LA. The church has offered their very well-equipped facilities to the effort. 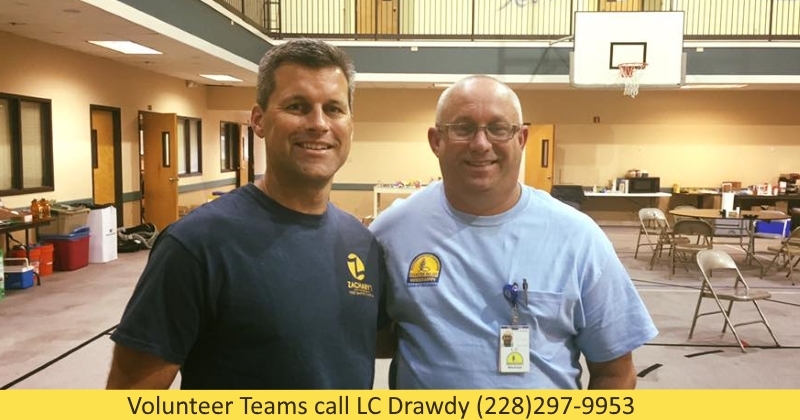 Mission teams wanting to come can call LC Drawdy (228)297-9953. Let him know that Pastor Don Elbourne sent you and I will try to meet up with you there. Zachary Louisiana is only a couple hours from Lakeshore Mississippi. Thank you so much!